An emerald ash borer larvae is removed from an ash tree in Saugerties, N.Y., in Sept. 2017. With the wood of the mighty ash tree, the inhabitants of Maine have been paddling across rivers and bays, sowing crops, weaving baskets and surviving the cold for thousands of years. To Maine’s indigenous people, the ash tree is the very source of their existence, the tree that legend says gave birth to the Wabanaki people. And it’s in danger of disappearing from the Maine landscape. The bug is small enough to fit on a penny. 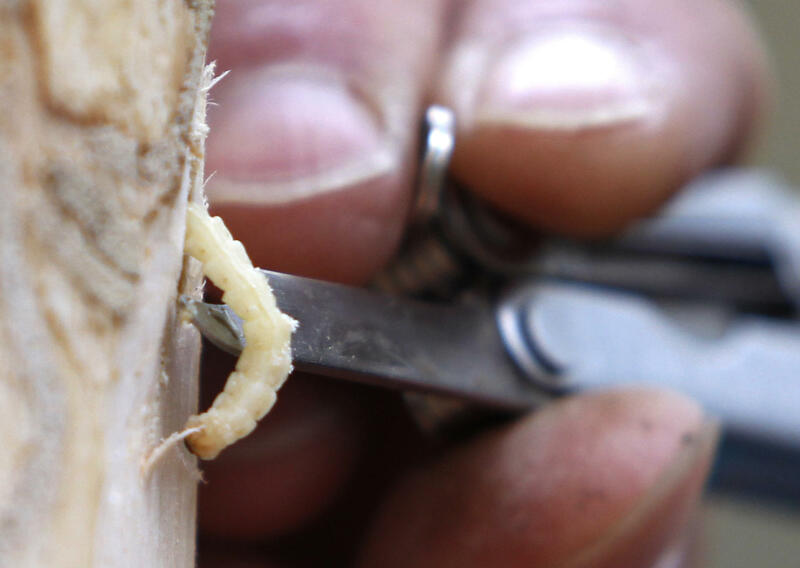 It’s called the emerald ash borer, and it has been bearing down on Maine since it was first spotted in the United States 16 years ago. Now, it’s on the state’s doorstep.